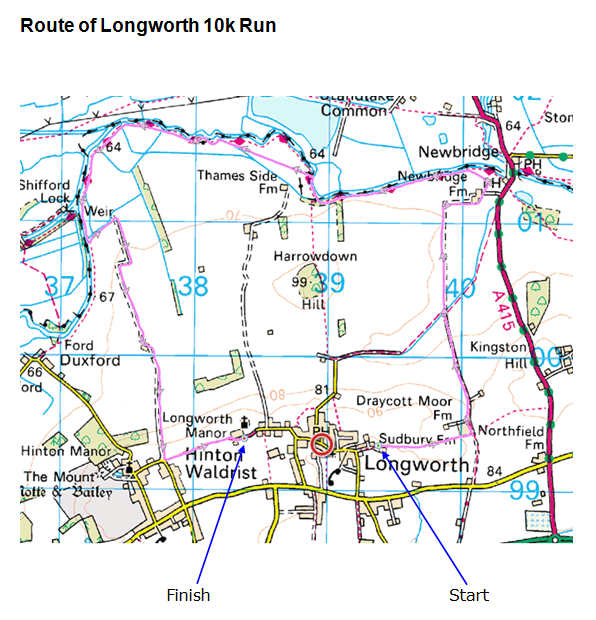 The Longworth 10k is a friendly, multi-terrain run through beautiful Oxfordshire countryside and along the Thames Path, for runners of all standards and from all over the world, raising money for HALF (Hinton and Longworth Education Fund). Entry: £13 in advance, £15 on the day – £2 discount for UKA affiliated runners. £10 for U18s. On the day entry: is available, but if you’re not in the first 100 to register you won’t get a race T-Shirt! Safety: Please read the guidance on how to train and run safely here: www.runnersmedicalresource.com. And on the day, please make sure you provide contact details and medical information on the form on the back of your race number. Thank you! you taken at the race to be published on the web. If you or your parent/carer do not wish photos of you to be published on the web, please add a large thick red cross to your race number. Red markers will be provided at the Race HQ for this purpose.